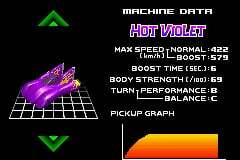 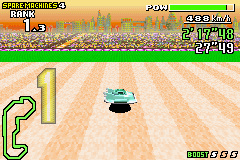 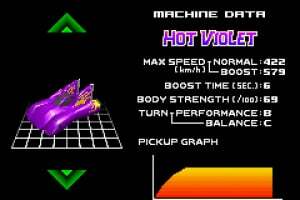 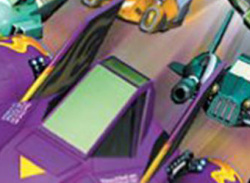 The famous futuristic racing series that originated on Super Nintendo hits Game Boy Advance with supersonic force! 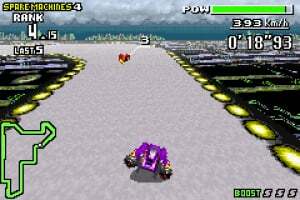 F-Zero: Maximum Velocity brings brand new vehicles and unique tracks packed with deadly tight turns, stomach-churning speed boosts and gravity-defying jumps. Master 20 different courses and four difficulty levels as you work your way up the ranks from lowly rookie to F-Zero champion! I don't like this game because I'm not very good at it. 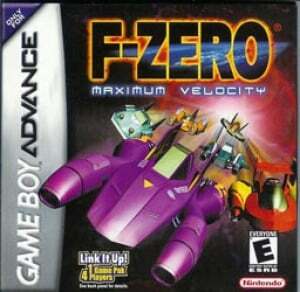 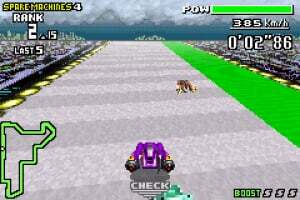 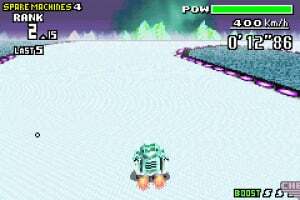 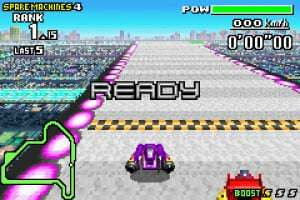 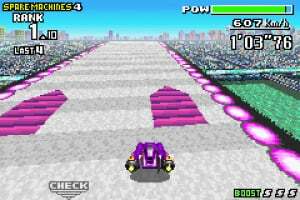 I know they released other F-Zero games for the GBA, but did they play more like the N64 version, because I can actually play that game without constantly slamming against the side of the track. I look forward to ritually destroying my GBA copy of the game and then... downloading the ambassador version, because it's free!